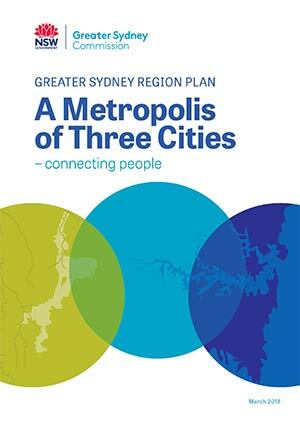 Housing has a dual social and economic role across Greater Sydney. Communities require housing that meets changing demographic needs over time and that provides stability. At the same time, housing has an economic productivity role by providing housing choice and affordability for a cross-section of workers. Across Greater Sydney, both home renters and purchasers face housing affordability challenges. Greater Sydney has been measured as being one of the least affordable housing markets globally12 and is the least affordable Australian city. This has been exacerbated in the past five years by rapid home price growth. Factors that contribute to rental and purchasing affordability challenges include the limited availability of smaller dwellings to meet the growing proportion of small households as well as the growing distance between areas where housing is affordable and the location of employment and education opportunities. The proportion of households choosing to rent rather than buy, through need or preference, is growing quickly in Greater Sydney (refer to Figure 18). Approximately 70 per cent of people aged 25–34 now rent in Greater Sydney13. In Greater Sydney, while some younger people rent because they desire lifestyle and workforce mobility14, many delay purchasing a home until they are 35 years old or over, due to affordability issues. Despite the large rental market demand, many renters face a relatively poor choice of rental housing options with short and insecure rental agreements. An examination of housing needs reaffirms the critical importance of providing a diversity of housing across the housing continuum in Greater Sydney. The continuum recognises the fundamental importance of household income on the ability to access housing of different types, cost and tenure (refer to Figure 19). Households on moderate, low or very low incomes, who spend more than 30 per cent of their income on housing, are impacted in their ability to pay for essential items like food, clothing, transport and utilities. Lower income households (earning up to approximately $67,600 per annum) without other financial support cannot afford the average rental cost for even more moderately priced areas of Greater Sydney, which are generally on the outskirts of Greater Sydney (refer to Figure 20). Cities require a range of workers to be close to centres and jobs. An absence of affordable housing often results in workers having to commute for long distances. A range of housing choices, including affordable rental housing reduces the need for people to go into social housing and also supports a pathway for people to move out of social housing. Source: Australian Bureau of Statistics 4130.0 Housing Occupancy and Costs, 2013 to 2014. Ensuring a steady supply of market housing in locations well supported by existing or planned services and amenity with an emphasis on public transport access is set out in Objective 10. It is important that the supply of housing delivers the type of housing that communities and places need as they grow and change. Homes need to respond to people’s changing needs as they transition through different stages of life. A diversity of housing types, sizes and price points can help improve affordability. Increasing the supply of housing that is of universal design and adaptable to people’s changing needs as they age is also increasingly important across Greater Sydney. State Environmental Planning Policy (Affordable Rental Housing) 2009 provides incentives for development projects to include a 10-year term for affordable rental housing dwellings for very low to moderate-income households. Application of this policy has generally resulted in the delivery of granny flats (secondary dwellings), student accommodation and new generation boarding houses. State Environmental Planning Policy No 70 – Affordable Housing (Revised Schemes) (SEPP 70) allows specified councils to prepare an affordable housing contribution scheme for certain precincts, areas or developments within their local government area. Willoughby, Leichhardt and the City of Sydney councils currently have affordable housing schemes in operation that require affordable housing provision for all residential developments within the scheme area. Randwick, Inner West, Northern Beaches, Ryde and Canada Bay councils have undertaken an analysis of the need for affordable housing within their local government areas to support an application for inclusion in SEPP 70 that is to be exhibited in 2018. Social housing is a form of affordable housing that caters to households experiencing the highest housing stress and social disadvantage. Although social housing supply and renewal is being addressed through programs such as Communities Plus and the Social and Affordable Housing Fund, delivery needs to be accelerated to cope with the growing waiting list. At the same time, more affordable rental dwellings are needed as a stepping stone for people in social housing who are capable of entering the private rental market, thereby freeing up housing for those most in need. The Plan recommends Affordable Rental Housing Targets as a mechanism to deliver an additional supply of affordable housing for very low to low-income households in Greater Sydney. Affordable rental housing for people on very low to low incomes is priced so that housing needs can be met alongside other basic living costs such as food, clothing, transport medical care and education. Affordable Rental Housing Targets would be applied in defined precincts prior to rezoning. This will not affect projects already underway. So as not to inhibit housing supply outcomes, or affect existing home and property owners, the application of the target will be the subject of a viability test. the requirement to have a separate approach for land release areas and urban infill areas given the differing circumstances in relation to development costs, development processes and land acquisition. Within Greater Sydney, targets generally in the range of 5–10 per cent of new residential floor space are viable, including the parameters set out above, noting that these parameters will be tailored to each nominated area. Source: Adapted from the New South Wales Family and Community Services Rent and Sales Reports, PayScale salary survey 2017.
Who is eligible for housing provided through this Affordable Rental Housing Target? Affordable housing is defined under the Environmental Planning and Assessment Act 1979 as housing for very low-income households, low-income households or moderate-income households. Low and very low-income households are the most vulnerable to housing stress because proportionally they have less money for living costs once they have paid their housing costs. This draft Plan identifies the most vulnerable households (the low to very low-income households) as eligible for housing secured by Affordable Rental Housing Targets as defined by the ranges in the table below. As the Affordable Rental Housing Target is applied to new rezoning, it will work alongside, and not impede, the operation of existing planning controls that address affordable housing including the State Environmental Planning Policy 70 – Affordable Housing (Revised Schemes). The target does not preclude councils from negotiating additional affordable housing for moderate-income households where need has been identified in a local housing strategy and the proposed target has been subject to viability testing. The Greater Sydney Commission will work with the NSW Department of Planning and Environment to develop the mechanisms required to implement the proposed Affordable Rental Housing Targets. When an independent assessment to verify the development feasibility of a nominated target is made, the assessment in collaboration with the Greater Sydney Commission will determine where exceptions may be granted – for example, where the provision of affordable housing would financially hinder the delivery of a critical or major component of city-making infrastructure. Many moderate-income households face housing diversity and affordability challenges – typically households with incomes of $67,400–$101,400 per annum15. Recent research indicates that about half of young Greater Sydney residents are considering leaving Greater Sydney within the next five years16, with housing affordability being a key issue. It also highlights that smaller well-located dwellings are considered an acceptable approach to reducing housing cost. The largest providers of general rental accommodation in Greater Sydney are private property investors renting dwellings on short six to 12-month leases. Tenants are frequently exposed to uncertain tenure and rental costs. The NSW Government’s housing affordability package A Fair Go for First Home Buyers contains a range of measures to support first home buyers and maintain existing levels of housing supply. These include stamp duty exemptions and relief for first home buyers, together with measures to provide sufficient and fast-tracked housing supply and delivery infrastructure of support growing communities across the State. It also encourages innovative smaller homes. The measures include requirements for Landcom and Property NSW to take an active role. This involves the identification of under-utilised or surplus government land that may be suitable to contribute to increasing housing supply and providing social infrastructure. Also, the NSW Department of Planning and Environment will develop guidelines that facilitate innovative models for smaller homes. The role of smaller homes can be particularly effective in welllocated areas where apartments and car parking spaces can be sold separately. Innovative models for smaller homes, particularly in targeted employment areas such as health and education precincts, could include shared facilities that provide good affordable design outcomes. Other initiatives to support housing diversity and affordability are market led. These include innovative purchase and rental models, smallmedium scale owner-developer apartment projects that employ flexible design and delivery outcomes, and institutionally delivered and managed rental accommodation in purpose designed rental buildings – referred to as build to rent. These initiatives complement student accommodation and new generation boarding houses as specialised rental for specific tenant segments. These forms of rental accommodation need to be delivered close to public transport and centres, and offer the opportunity to include Affordable Rental Housing Schemes if viable. The NSW Department of Planning and Environment, Landcom and the Greater Sydney Commission will continue to jointly investigate ways to facilitate housing diversity through innovative purchase and rental models. Prepare Affordable Rental Housing Target Schemes, following development of implementation arrangements. State agencies, when disposing or developing surplus land for residential or mixed-use projects include, where viable, a range of initiatives to address housing diversity and/or affordable rental housing. The Greater Sydney Commission to work closely with the NSW Department of Planning and Environment to streamline implementation of new programs particularly in respect to the workings of the State Environmental Planning Policy (Affordable Rental Housing) and State Environmental Planning Policy No 70 – Affordable Housing (Revised Schemes). Tasks will include finalising a consistent viability test for the Affordable Rental Housing Targets to support councils and relevant planning authorities and ensuring that housing strategies include a sufficient affordable housing needs analysis and strategy to identify preferred affordable housing locations in each local government area. Prior to the inclusion of affordable rental housing targets in the relevant State policy, the Greater Sydney Commission, in partnership with relevant State agencies, will develop detailed arrangements for delivering and managing the housing that is created by the targets. This additional work will consider eligibility criteria, allocation, ownership, management and delivery models.